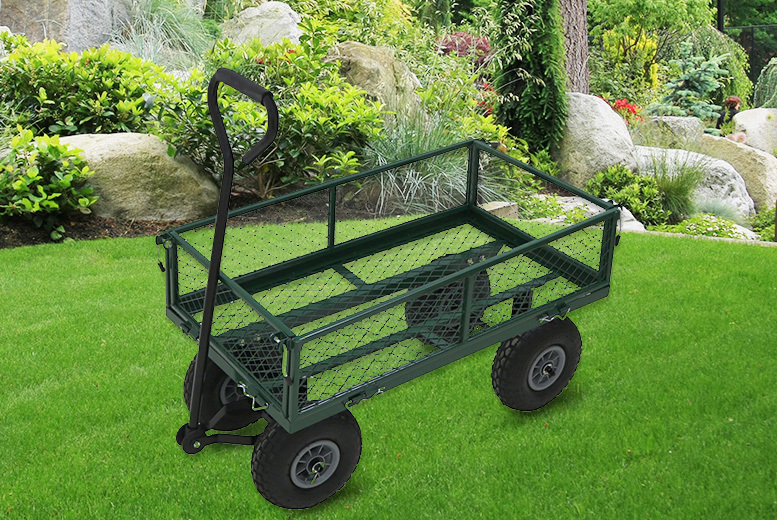 Get a heavy-duty garden trolley. Ideal for gardening, outdoor work, camping and festivals! Four 10″ pneumatic tyres and easy-steer pulling handle. Heavy gauge steel mesh frame with removable drop-down sides. Holds up to 400kg; see full details for full dimensions.